The Royal Ranch Wild West Circus was owned by Ozzie and Lila Schleentz. 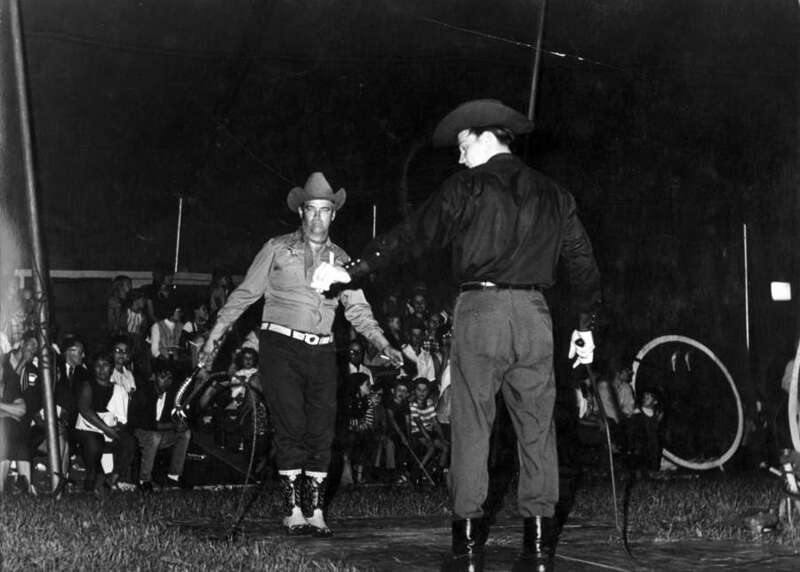 In the 1960s Ozzie and Lila moved from their home state of New Jersey to Valdosta, Georgia where they began framing the Royal Ranch Wild West Circus. 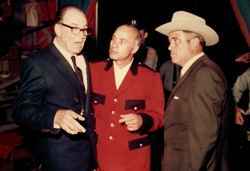 The show toured the eastern Untied States in the 1960s and 1970s. 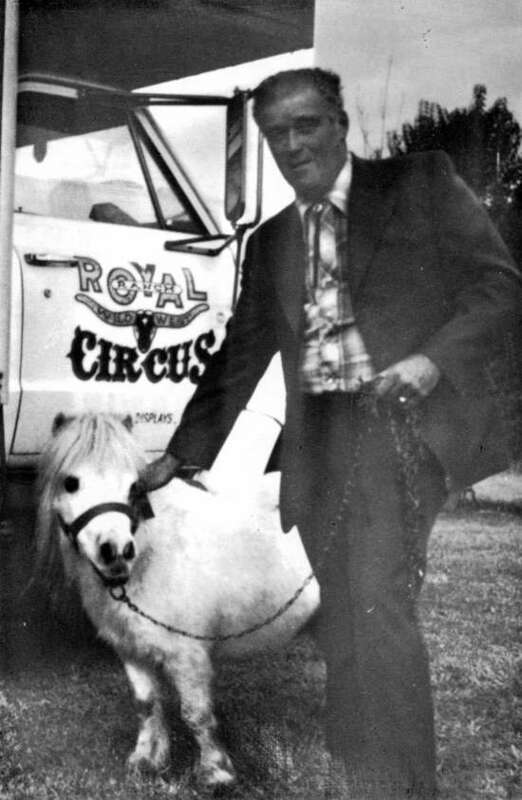 Ozzie began his Circus career in the 1950s as a general agent for the Hunt Bros Circus. Ozzie was an accomplished show painter. 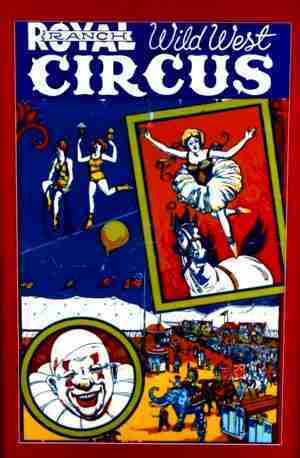 and when anyone visited the circus his talents were very apparent, the show was one of the brightest and most colorful circuses at that time. 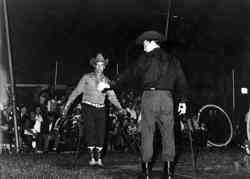 Dominating the colorful midway was a large cowboy which straddled the circus' ticket wagon. The big top of Ozzie was orange. Ozzie was convinced that the sunlight filtering through the orange canvas, made people hungry and they bought more concessions. The show closed in 1978 and Ozzie and Lila retired to their home in Valdosta. Osborne R. Schleentz passed away on Sept. 08, 1991 and Lila Mae Schleentz on April 10, 2007. More Information and Photos Ozzie and Lila Schleentz may be found at our "Ozzie Schleentz" page.